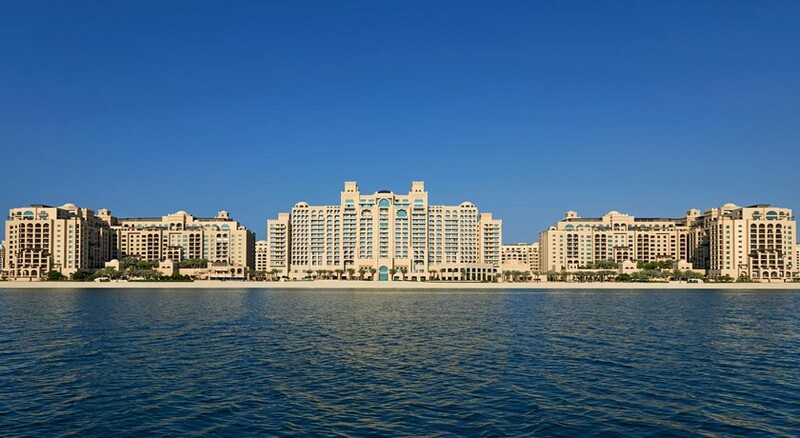 Fairmont The Palm Dubai is a magnificent five-star resort set on the most pursued island community in Dubai. This luxurious beachfront resort offers marvellous views of the Dubai Marina Skyline and the Arabian Gulf. 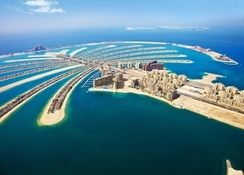 All major attractions and airports in Dubai are easily accessible from this hotel. This sets the resort apart and makes it a unique destination for business and leisure. 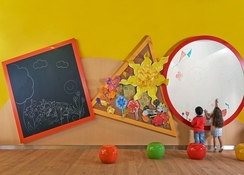 There are many family-friendly amenities available in the hotel that include the Fairmont Falcons Kids club and interconnecting rooms. You can have a fantastic dining experience, as the hotel has ten world-class lounges and restaurants, which will take diners on a culinary journey from South America to Europe and Arabia. Fairmont The Palm Dubai is the ideal place to stay while you explore Dubai. Discover the spectacular Dubai Marina, which is 7.2km from the hotel. The Dubai Mall, which is the largest retail destination in the world is about 24km from the hotel. Golf enthusiasts can also have a lot of fun, as the magnificent championship golf courses are a few minutes’ drive away. 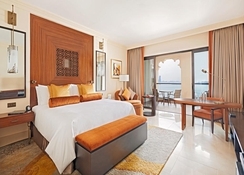 The 381 luxurious guest rooms and suites at the Fairmont The Palm Dubai are a hallmark to Arabian accent and luxury. The tailor-made accommodations in the hotel are suitable for a romantic stay and family vacations. The connecting guest rooms in the hotel are suitable for friends and families with a foyer area, which adds up further exclusivity. 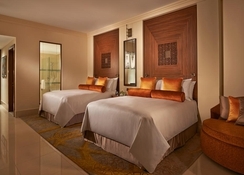 There are three types of guest rooms in the hotel namely Fairmont Room, Fairmont View Room and Fairmont Deluxe Room. All the rooms have all the necessary amenities that include work desk, LED television, high-speed internet access, five-piece marble bathroom, in-room safe, branded bathrobes & slippers, hair dryer, iron, international AC adaptor and air conditioning. 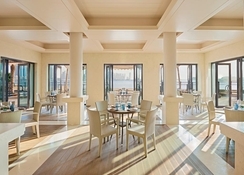 At Fairmont The Palm Dubai, you will experience the finest flavours in the seven top-class restaurants. Flow Kitchen innovatively serves up culinary classics from around the globe; Frevo offers a taste of traditional Brazilian cuisine; Seagrill Bistro offers the best seafood with spectacular views of the Arabian Gulf; Delicacy is a patisserie and baked goods delight, a great place to do some holiday reading; Mashrabiya Lounge is meant for socialising while sipping on unrivalled collection of teas from around the world; The Cigar Room offers fine malts and exceptional cigars; The Chef’s Palette provides an interactive cooking experience; Little Miss India serves up delicacies from the Indian sub-continent. Ba offers a delicious array of modern Asian cuisine; Blowfish is an American dining destination which serves many ‘grab and go’ dishes. The hotel provides unlimited options for intimate diners. The hotel offers ample sports and entertainment facilities, which will keep you engaged throughout the day. There is a fully-equipped health club, where you can maintain your fitness level. If you want to cool down indulge in the thrilling and exciting water sports available in the hotel. Those who want to relax, rejuvenate and unwind can hit the award-winning Willow Stream Spa which offers wide-ranging treatments and massages. on the current beach developments. foundations being now close to completion. nearby the family pool and from all sea facing rooms and suites during day time. visible from the balcony areas.